October 30, is the birth anniversary of Dr. Homi Jehangir Bhabha, who pioneered the Indian nuclear research programme and aptly hailed as the “father of Indian nuclear program”. Bhabha was not only a scientist, but also a visionary and an institution builder. 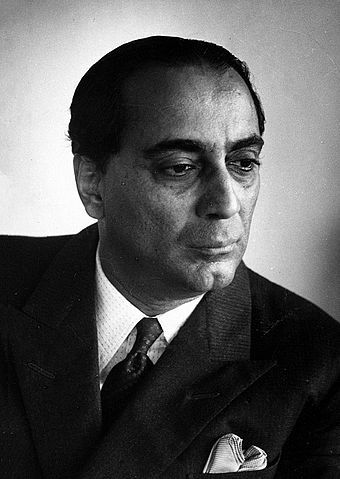 In September 1939, Bhabha was in India for a brief holiday when World War II started. Bhabha took a post of reader in Physics at the Indian Institute of Science in Bengaluru, headed by Nobel laureate C.V. Raman. With the help of J. R. D. Tata, he played an instrumental role in the establishment of the Tata Institute of Fundamental Research in Bombay in 194. A visionary, he had realized the importance of nuclear research programme way back in the 1940s when India was still under British rule. It was Bhabha who convinced the former Prime Minister, Jawaharlal Nehru, to start the ambitious nuclear programme in the country. In 1948, he established Atomic Energy Commission of India and served as its first Chairman (1948-66). In 1948, Nehru appointed Bhabha as the Director of Nuclear Programme and gave him a task to develop the nuclear weapons During 1955, Bhabha served as President of the United Nations Conference on the Peaceful Uses of Atomic Energy in Geneva, Switzerland. However, the most important contribution of this leader has been towards developing India’s Nuclear Program. Rather than following the world, he developed a 3 stage nuclear plan that was based on India’s Thorium resources rather than prevalent Uranium, which India had meagre deposits. India has followed the plan developed by Bhabha in 1950’s and while India is using stage I: Pressurized Heavy Water Nuclear Reactors for producing electricity. Research & Development is in process of Stage II. 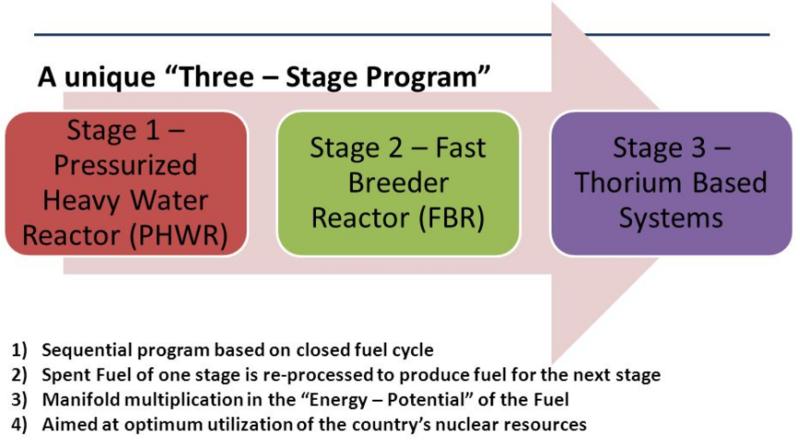 India’s first Prototype Fast Breeder Reactor (PFBR) is coming up at Kalpakkam, Tamil Naidu with capacity of 500 MW. Bhabha also encouraged research in Electronics, Space Science, Radio Astronomy and Microbiology After his death, the Atomic Energy Establishment at Mumbai was renamed as the Bhabha Atomic Research Centre in his honor. He was awarded Padma Bhushan by Government of India in 1954.